The Iliad Academy Preschool is proud to be entering into our 10th school year of serving Buckeye and its surrounding west valley communities. We are part of the Odyssey Family of Schools. 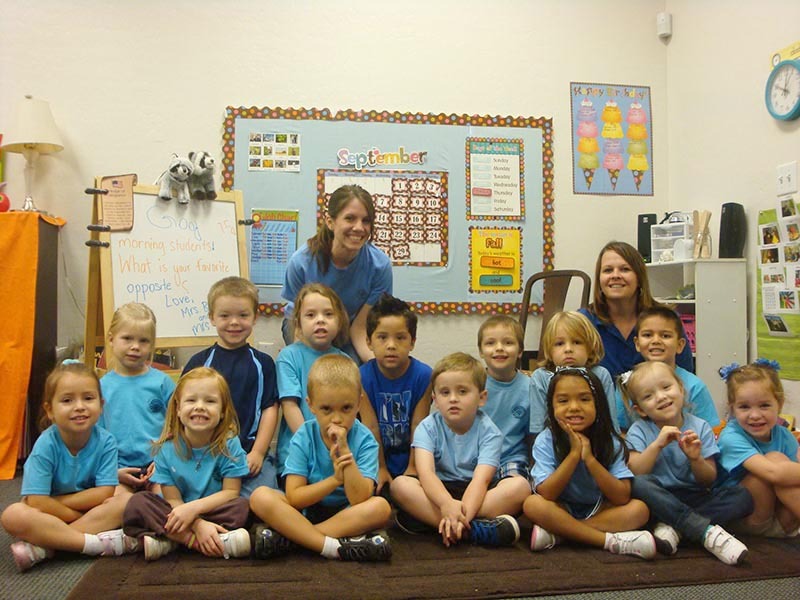 We began our first year sharing a building with Odyssey’s Kindergarten at Miller and Broadway in Buckeye. 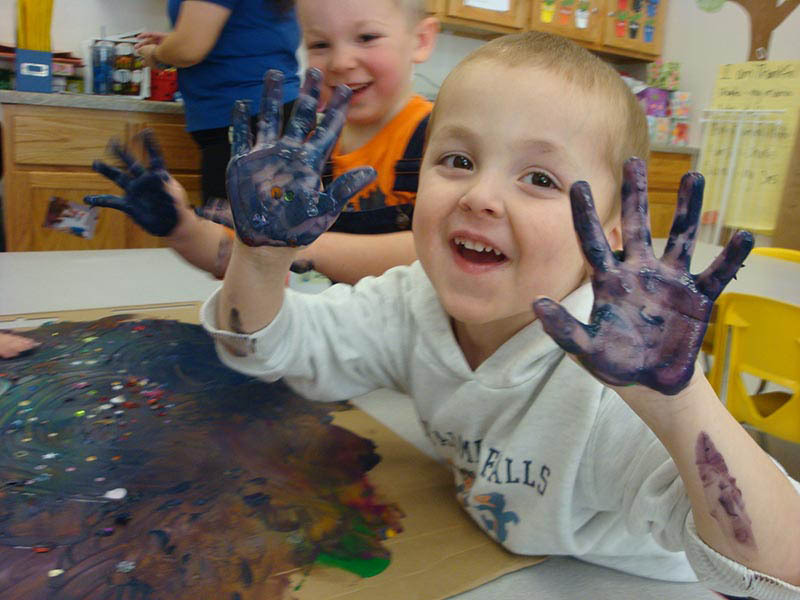 For the first two years, we offered both full-time and part-time preschool options. In our third year, we adjusted our program by providing part-time preschool only following Odyssey’s four-day school week. We remained in Buckeye until we moved in January of 2016 to our temporary location at Iliad at The Lighthouse located off of Jackrabbit Trail just north of Thomas Road in Litchfield Park. 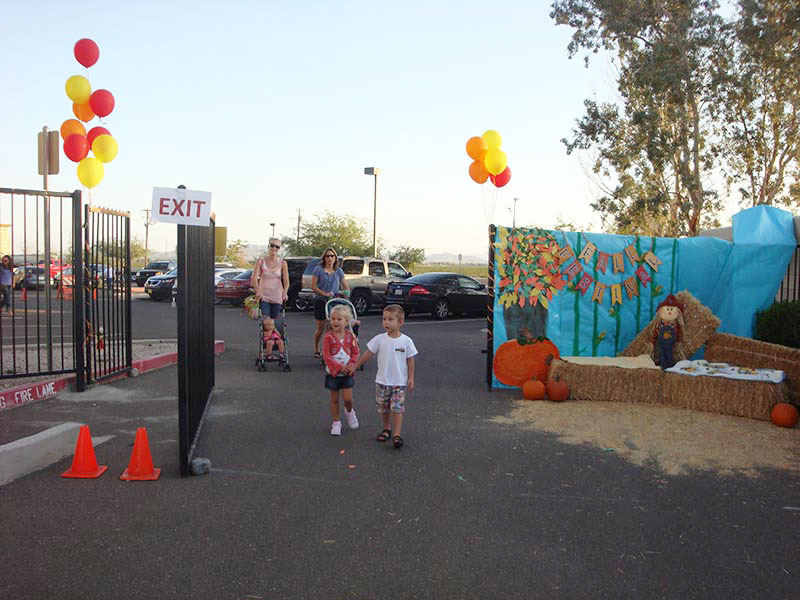 We opened our current location for the 2017-2018 school year in the Desert Hills Baptist Church located on the southeast corner of Verrado Way and Yuma Road in Buckeye. 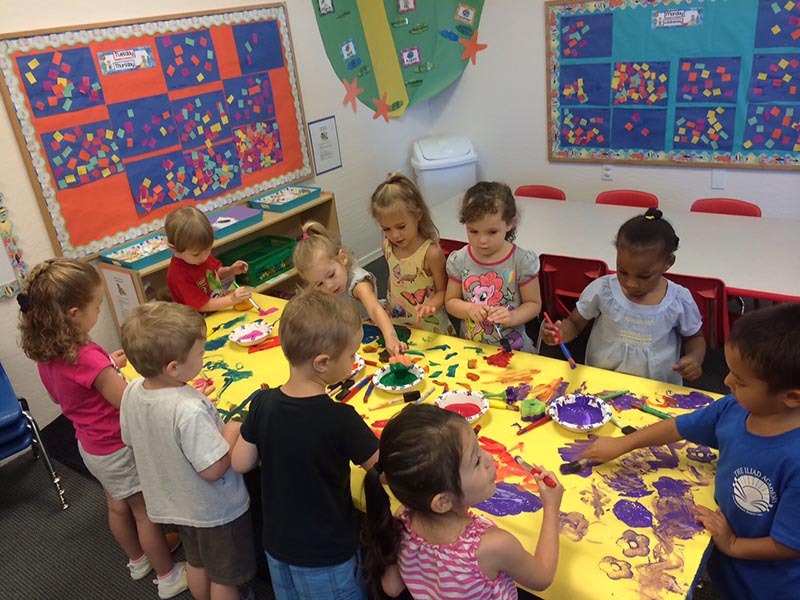 We are excited about our newest addition to The Iliad Academy program, our Mommy & Me Toddler Classes that launched at our Desert Hills location in Buckeye beginning with the 2017-2018 school year. The Iliad Academy provides preschool only, we do not offer daycare. We have created an expansive curriculum that will provide the educational foundation for life-long learning and future academic success. Our program offers Spanish, Music, Sign Language and PE. The scaffolding for our curriculum is based on the Preschool Core Knowledge Sequence, not to be confused with the Common Core. Odyssey also implements Core Knowledge in their elementary curriculum making it a smooth transition should you choose to enroll your child in Odyssey’s Kindergarten. 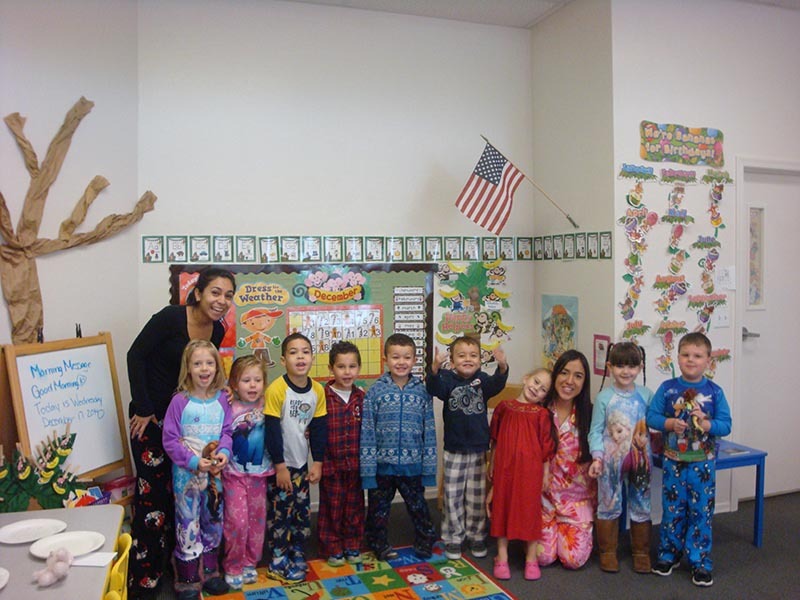 However, The Iliad Academy Preschool will prepare your child for any Kindergarten program. Our Iliad families can expect small class sizes with low teacher-child ratios and a warm, nurturing environment with loving, experienced and educated teachers. Our mission at The Iliad Academy Preschool is to provide children with an outstanding preschool experience which will promote their social, emotional, cognitive, physical, and creative development. The Iliad Academy Preschool will foster each child’s intellect, love of learning, and strength of character while providing an expansive, educational foundation that helps children transition into the kindergarten classroom and eventually the world. 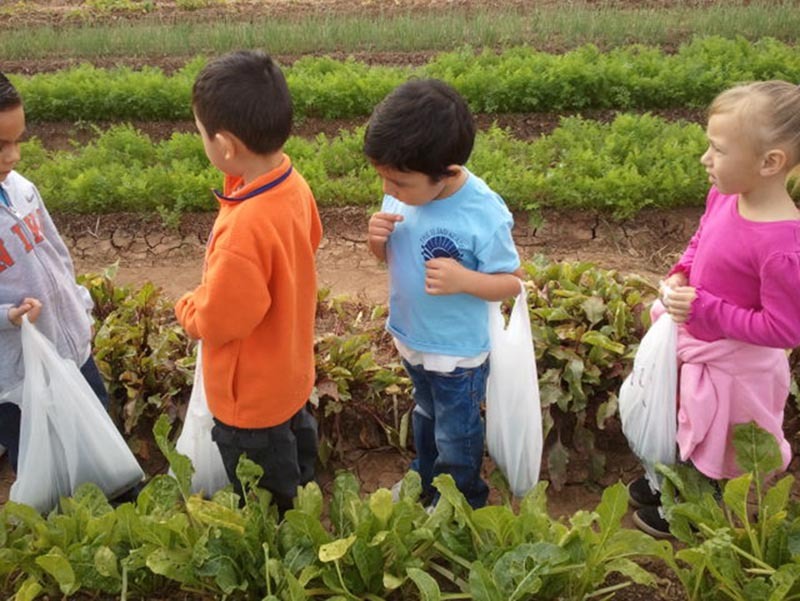 The Iliad Academy Preschool is an educational environment that encourages children to be actively involved with others to explore, discover, and question the world around them. Opportunities are provided for children to take responsibility, make decisions, and have ample opportunity to learn through play. The framework for all aspects of The Iliad Academy Preschool Program is provided by The National Association for the Education of Young Children’s Developmentally Appropriate Practice and Guidelines, the Arizona Department of Education Early Learning Standards, and The Core Knowledge Preschool Sequence. Eve Cunningham has been working in the field of early childhood education for over 30 years. She earned her degree in Early Childhood Education and holds an Early Childhood Teaching Certificate. She has taught at The Glendale Community College Child Development Center, City of Phoenix Head Start, Tesseract Preschool in Paradise Valley, and Estrella Mountain Preschool in Goodyear. 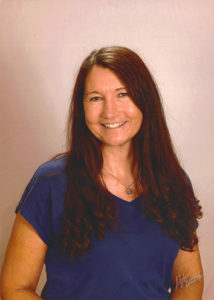 She also served as the Assistant Director of ASU West’s Child Development Center and Lab School. In 2009, Eve was instrumental in developing The Iliad Academy’s elite program. She continues working diligently to ensure that The Iliad Program continues to provide the same quality that our Iliad families have come to count on. 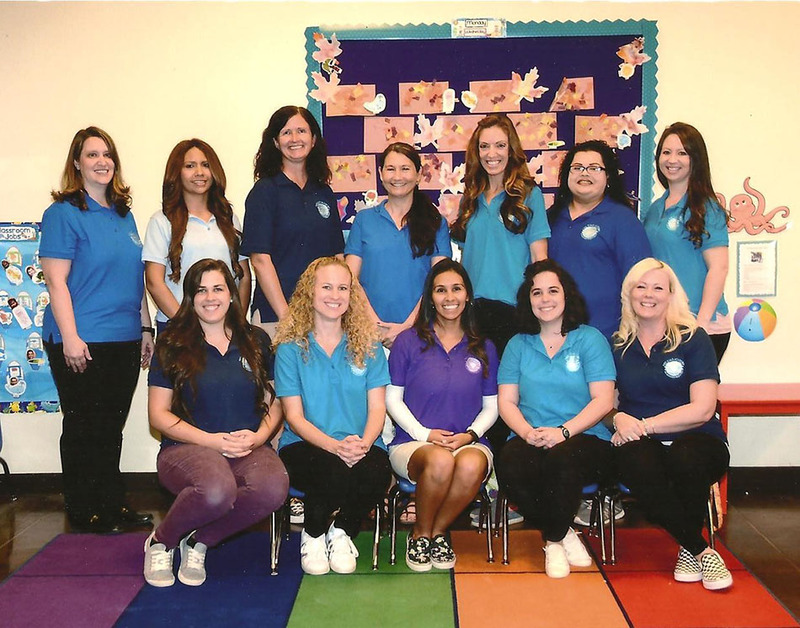 Our Iliad Academy Preschool teachers and staff have been carefully selected to make our Academy an elite program. Our teachers are professional, experienced, and trained in Early Childhood Education. They possess a genuine love for children and an understanding of early childhood development. Our Iliad teachers are also required to obtain eighteen hours or more of training each year in order to keep current in the field of Early Childhood Education. Our entire staff has been fingerprinted, screened, and cleared by the Arizona Department of Public Safety prior to working in the classroom with children. They are also certified in infant and child CPR as well as basic first-aid care.